Massive undersea earthquakes off the coast of California could send a tsunami crashing into Los Angeles or San Diego, new research suggests. 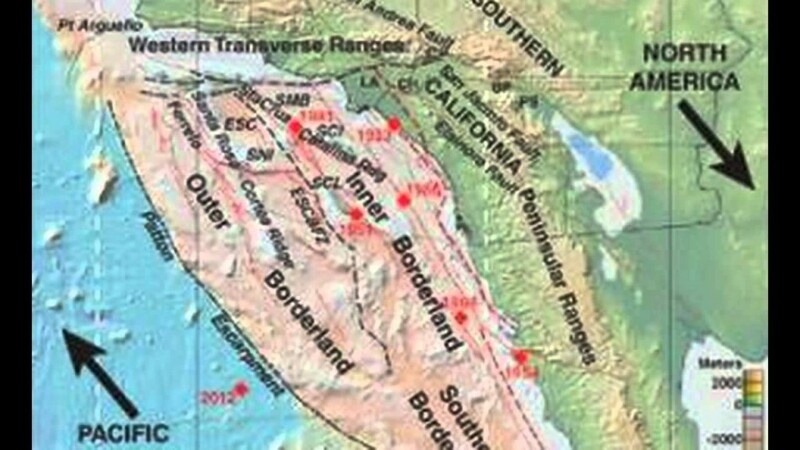 As the North American and Pacific tectonic plates grind past each other, large chunks of Earth’s crust wedged between them get squeezed and twisted off Southern California and Baja California in Mexico. This logjam of crust could cause catastrophic ruptures at two faults along this boundary, setting off undersea temblors of magnitude 7.9 or 8.0, according to new research published April 25 in the Journal of Geophysical Research: Earth Surface. The San Andreas Fault — which snakes about 800 miles (1,300 kilometers) from Mendocino in northern California to the Salton Sea in the southern part of the state — gets most of the attention. But a network of faults also lurks off California’s coasts.